A Galway city woman based in Texas has clinched a major award. Brega Howley of Grattan Park was presented with the Richard C Pugh award by the American Board of Paediatric Dentistry at a ceremony in Chicago recently. This honour was in recognition of having been ranked in the top three per cent of scores in the United States in the American Board of Paediatric Dentistry Qualifying Examination. Dr Howley, a former student of Salerno Secondary School, Salthill and a graduate of Trinity College Dublin is a daughter of Pat and Mary Howley who live at Grattan Park. 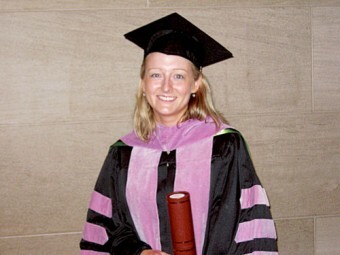 She completed a Master of Science degree in paediatric dentistry at the University of Baylor, Dallas, Texas, where she is now employed as an assistant professor.